Work at The Midden Pavillion, Cape Town. 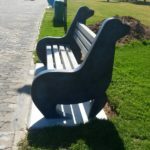 At Stonecast we cater for all new concept Concrete Projects which are unusual in design and thus require specialist casting . 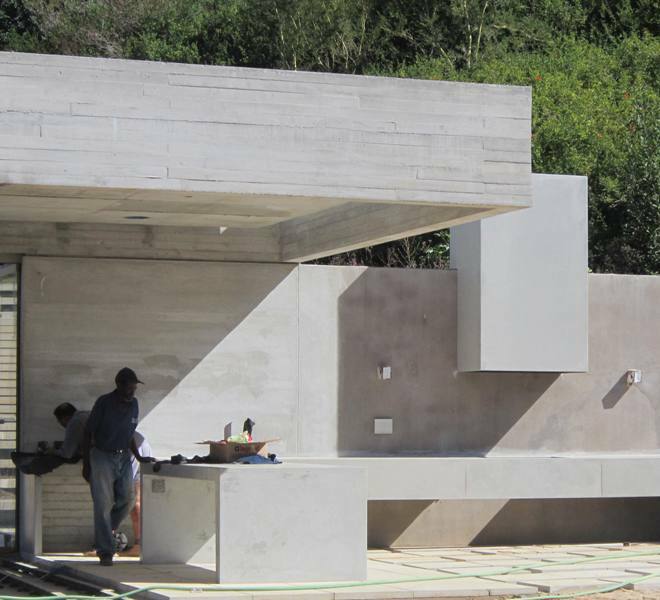 Over the years we have assisted architects, interior designers, artists and many others who have required custom concrete casting for their personal projects . 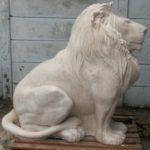 Our unique skill-set at Stonecast (which include mould making , sculpture , design, restoration, welding, fibreglass work and more) allows us to tackle the majority of unusual tasks assigned to us. We require that our clients supply an initial drawing with all the dimensions and details that describe the project. Then we discuss the materials and function of the item so that we can formulate a plan for manufacture and then a quotation. If the quote is accepted an invoice for a 50% deposit is submitted and on payment the project commences. The lead time will depend on the nature of the project and this will be discussed up front in order to ensure delivery deadlines are met.